The Armored Avenger Legends Neo Classic Iron Man last seen at San Diego Comic Con 2011 has turned up on Ebay. A test shot has been put up for auction by hktoyking2009. 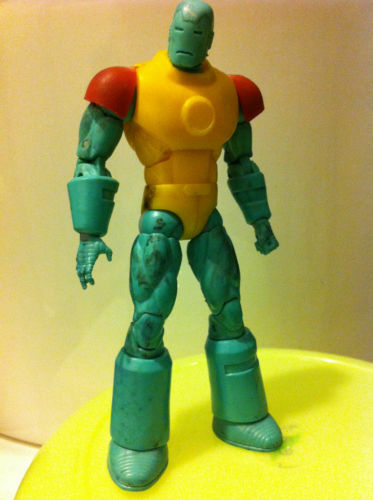 This figure is part of what may be the last wave of Iron Man Armored Avenger Legends. Take a closer look at the test shot after the jump! somehow i missed this back when it was announced for SDCC but this is now on my AutoBuy list as this is one of my favorite armors along with Silver Centurion and Modular which I hope we will eventually get at an affordable rate. I was kind of amazed we didn't get the Modular armor in 3.75 inch form during the IM2 line. Makes me wonder if it was held back for Marvel Universe or Avengers, since it's pretty much the most prominent armor he's worn that hasn't been made in 3.75 inch form (and its' 6 inch version is relatively rare). 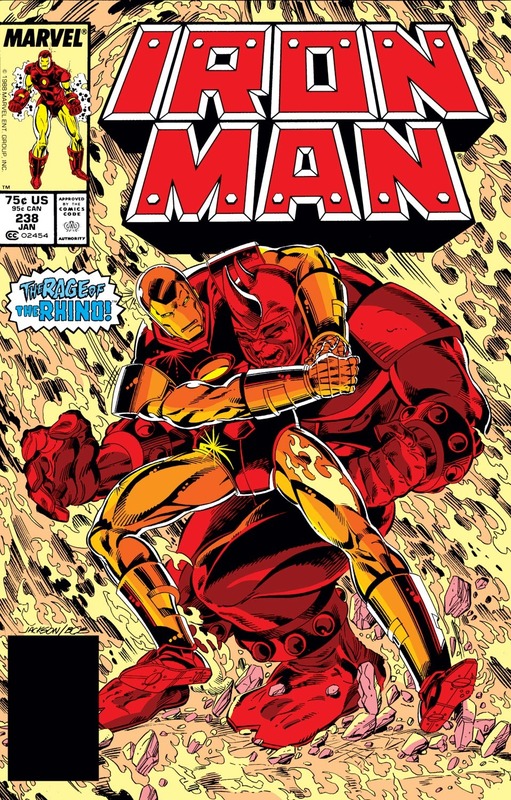 Honestly, the modular armor and the "Retro"/Heroes Return armor are really the last two "major" suits to be made. -Maybe- the telepresence suit, but he didn't wear/use that very long. I guess the Heroes Reborn armor in 3.75 inch form still needs to be done, too. I missed if this was 3 3/4th" or 6" range? 6", the 3-3/4" one was in Comic Series wave 2 of the Iron Man 2 line last year. I can't wait to see this is stores. It is bought immediately! Too bad they're making the same mistake with the shoulder armor as they did with the 3.75" figure- it realy limits articulation. 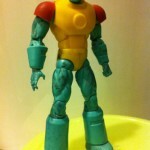 Regarding that prototype...I hope they change the head- it looks to big for the body to be in proportion. I so want this. Just wish they'd get rid of those damned hips. How does it hinder articulation? Just curious, because the armor is on a hinge and can tilt up. It should be on a peg or nubs that go into the top of the arm/shoulder so he can lift his arm forward without the armor needing to be hinged completely off his arm. Marvel Universe Extremis armor got it right. Ironman 3.75" used this hinge system on many of their figs and it was one of my biggest beefs. Oh okay, I see what you're saying, and I agree, that looks better. I like the way it was done on stealth Iron Man from the Concept Series 2008 movie line, with a metal pin through the shoulder. No way for the pads to fall off and didn't hinder articulation at all. This and the stark racing suit armour will be added to the collection as soon as they hit retail, finally! Er...I see the 3.75" Stark racing armor all the time here- you need it?